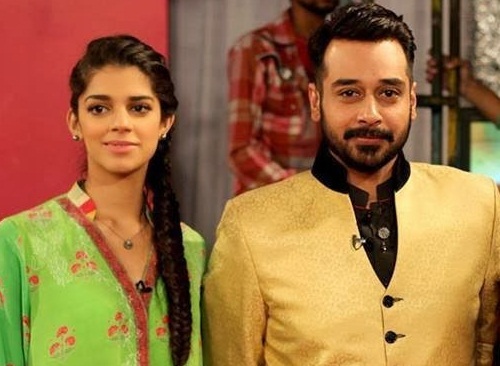 Faysal Quraishi & Sanam Saeed Open up About Ban of Pakistani Celebrities in India! Seems like Pakistani celebrities are finally waking up. Many are now breaking their silence against Indian ban on Pakistani superstars and the surgical strike across the LoC on Azad Kashmir. Faysal Quraishi and Sanam Saeed are the latest stars from the nation to share their views on the burning matter in an exclusive interview to Brandsynario. The actor Faysal Quraishi stated that Pakistani artists are so worthy that they are called to work across the border. However, they are not dying for projects in India. He said it was disheartening to read the bitter round of tweets from the entertainment fraternity of the neighboring nation. Watch all what Faysal Quraishi said to Brandsynario in this exclusive video! Meanwhile Sanam Saeed urged for peace between both the lands and was of the opinion that India and Pakistan should stop fighting. 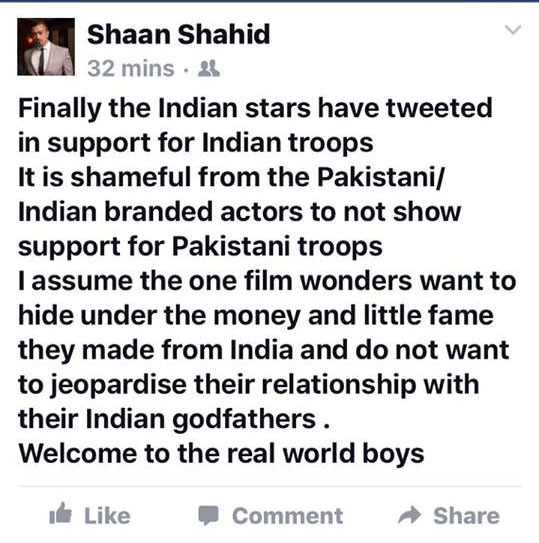 Amidst rising controversies, Shaan Shahid took to Facebook and deemed it shameful that superstars of the nation showed no support to Pakistan army. The timeless hero bluntly stated that all pro-Indian actors do not want to threaten their relationship with directors across the border! Other than Shan, Hamza Ali Abbasi is amongst the first to speak his heart out on social media. Soon after the attack across the LoC yesterday, Abbasi took to Facebook to express his views on the matter and urged the entertainment fraternity to boycott Bollywood. Meanwhile, Shahid Afridi is encouraging India and Pakistan to make peace and not war! However, Indian celebrities are on a roll with their anti-Pakistan sentiments. You will be shocked to read their reactions on Twitter! T 2394 – "Don't mess with the Indian Army" !! Congratulations to the indian government and proud of our army for taking the fight to the terrorist #CountryFirst #JaiHind. While Bollywood’s response has left us all in shock, even more shocking is the looming silence of our Pakistani celebrities! When will our remaining celebrities break the silence and support Pakistani army, let’s wait and watch! Previous article20 Celebrity Couples With Shocking Age Differences!